Previous post: All chocolates are claimed! The main change to this year’s lineup was the addition of three caramel flavors: rosemary thyme caramel, coffee cardamom caramel, cinnamon honey caramel. 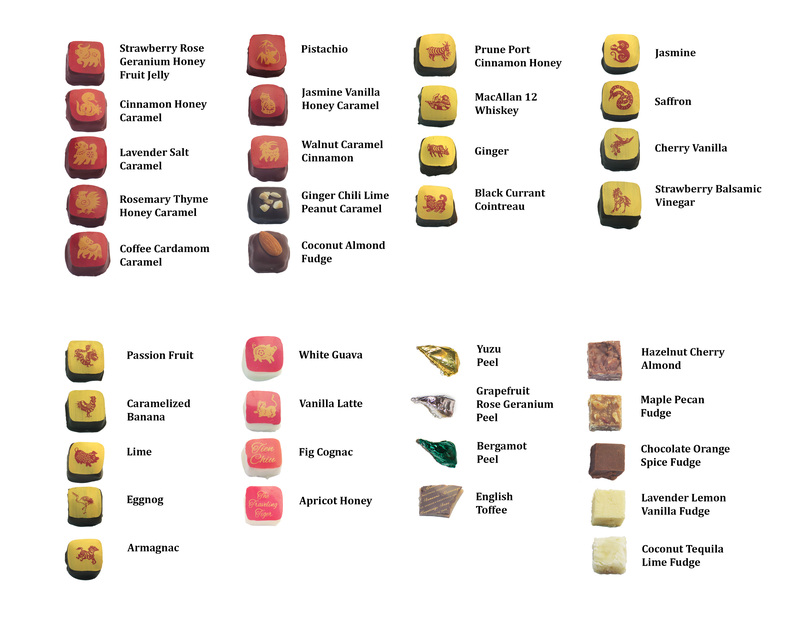 Also new for this year were the strawberry-rose geranium fruit jelly, chocolate orange spice fudge (made with cinnamon and cloves), the passion fruit ganache, and the lime ganache. All in all, an excellent year, with lots of great new flavors. Thanks, for all you do. Wow, looks like a wonderful production. Don’t it too many of them, but I hope you have tried each once. Ooh La La! C’est Magnifique!